My second trip to Uganda was vastly different from the first, back in 2009. In 2009, I was researching the LRA (Lord’s Resistance Army), Joseph Kony and the topical issue of children in armed conflict. I spent most of my time with former child soldiers in Northern Uganda and also made a promise to a group of child soldiers that I had become close to. The promise was to send 2 bicycles, to help them in their lives and in their rehabilitation and re-integration into society. In 2012, I returned with a container of 400 bicycles, a mission I had been on since my trip there in 2009. I also set up a bike workshop and vocational training centre at Friends of Orphans in Pader, to help victims of the conflict. As as far as my research on the war in Northern Uganda goes, I had learnt a lot more in the three years since my first visit. During that period I also traveled to the United States, where I interviewed people at the United Nations, Human Rights Watch, Amnesty International, Black Star News, UNICEF, Resolve Uganda and many other organizations. I still spend countless hours researching the conflict and the human rights situation in the country, as what has occurred in Northern Uganda has been so well concealed by the powers that be, and the international community at large, making it very difficult for the truth to be made visually transparent. The ‘Kony War‘, as it is often called, is not what it seems. That is not to say that Kony does not exist, nor that he has not committed the atrocities that are now well-known to the world, thanks to the viral video campaign from Invisible Children, Kony 2012. The perpetrator of this conflict is not Kony, as most would believe due to media and government deception and misinformation. Joseph Kony is sadly a product of the war, and should still however be made to face justice for his crimes. But, will that bring justice to the Acholi people of Northern Uganda, particularly if the other perpetrators are not also made to stand trial for their involvement in this human tragedy? How can justice prevail when impunity reigns? This year I also spent much time in Uganda looking into how the conflict can be resolved and what is the best way forward. Is military intervention (which is what is currently happening) the correct road, or could truth and reconciliation through national dialogue and peace talks be a better and more effective option? There are many differing views on this subject, but on the ground, there seems to be only one. Invisible Children have called out loud and clear for U.S military intervention in the region, but where has that got them in the past, and for what reasons would they really be intervening? The fact of the matter is, why intervene now, when they really needed to intervene 10 years ago, when there was a serious humanitarian crisis going on. That’s when everyone was silent on what was going on. That’s when help was needed and voices needed to be heard. 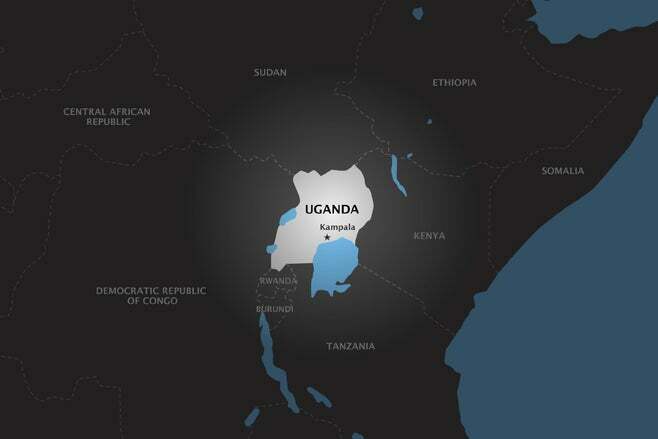 Now there is relative peace and the people in Uganda want to know, “WHY NOW?”.